Clear Aligner Therapy uses a series of clear, custom-made aligners to slowly and painlessly guide your teeth into a perfect, straight smile. As someone who has undergone specialized training to provide this service to his patients, Dr. Hamidi has the experience necessary to give you the smile you want and deserve! To find out if Clear Aligner Therapy is right for you, we offer a free consultation in which you will receive a complimentary scan of your teeth with our state-of-the-art digital impression scanner! 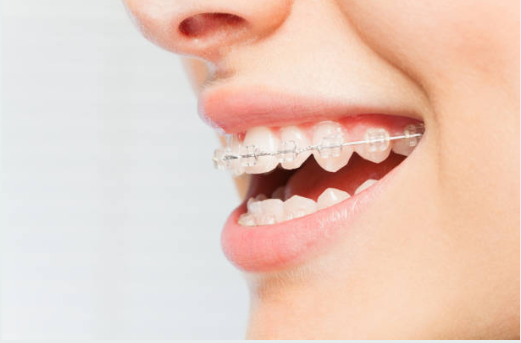 Call us at (443) 917-6468 to schedule your orthodontic visit. “Great new Dentist in Elkridge! Mint Dental on Route 1, next to Ledo’s. From The receptionist, the Office Manager(? ), the assistant and especially Dr. Hamidi, the service was off the charts! Lol. Very friendly staff and felt wanted and right at home the moment I walked in the door. Highly recommended!” - Dennis-Tina T.